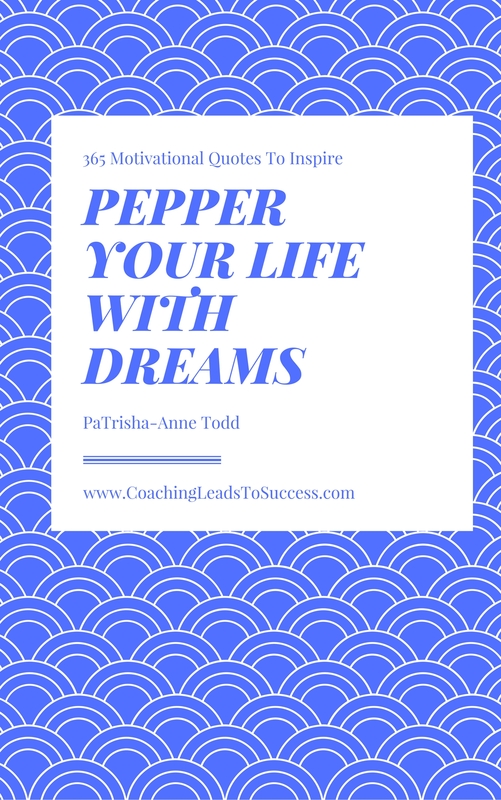 Pepper Your Life With Dreams [Special Limited Edition] is the little book of inspiration filled with 365 enlightening sayings that will propel you forward with a focus to achieve your goals. The inspirational language helps you remember why you want to achieve cetain goals and keeps you on track as you turn your dreams into reality. "Today is preparation for the next opportunity...harnessing your personal power to - "
"A happy heart is a healthy heart... fill your life with love, joy and abundance ensure you - "
"Don't travel the journey of life alone, take all who will go with you... tapping into the magic of the Law of Attraction as you embrace - "
"Welcome all that will help you claim success... and learn how to take the necessary actions towards your goals as you - "
"Give yourself a gift everyday, no matter how small or large... and fill up your bank account of personal worth"
"Gift yourself by offering a gift to another... using the Law of Cause and Effect"
Feeding your mind daily with inspirational sayings is the best way to guarantee your personal success. This little paperback book is filled with hundreds of inspiring phrases that I have personally penned to support my goal of living a life by design and owning a positive mental attitude. I wrote the book to share those thoughts with you. It is my belief that life is a journey that deserves to be comfortable, filled with optimal health, wonderful people to know and love, excitng places to visit, safe surroundings and a home of choice to live in with endless wealth to ensure life is lived by design.